A CSU academic is helping put sustainable tourism on the map in Myanmar by educating tourism students about the importance of sustainability in the country’s rapidly growing tourism sector. A Charles Sturt University (CSU) academic is helping put sustainable tourism on the map in Myanmar by educating tourism students about the importance of sustainability in the country’s rapidly growing tourism sector. 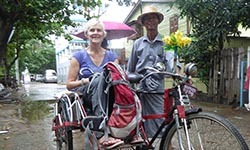 Associate Professor Rosemary Black (pictured left), an ecotourism expert with the CSU Faculty of Science, is providing a welcome hand in Myanmar to support a degree in tourism at the National Management Degree College, a public university in Yangon. The professor is mentoring and coaching college teaching staff in subject knowledge, teaching methods and assessment, while also teaching some modules, conducting basic research and supporting the development of university leadership. “I want to make a positive and lasting impact on the development of the country’s future tourism educators and students,” Professor Black said. The National Management Degree College offers a four-year Bachelor of Arts degree in Tourism awarded by Yangon University. It is one of only two institutions in the country that offers a tourism degree program, which first started in 2012. 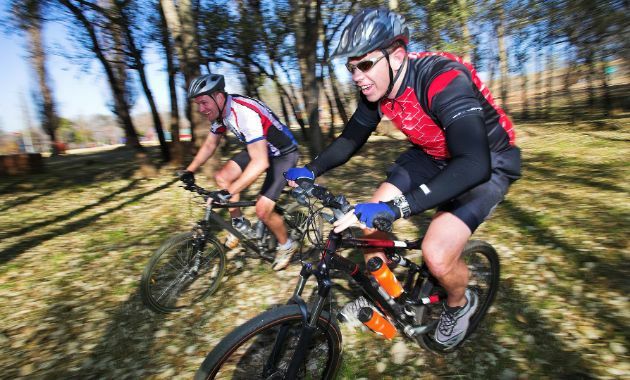 “The students and staff are so keen to learn - it’s very rewarding. Professor Black is currently establishing an industry advisory group for the tourism program that will be an important interface between the College and relevant areas of industry, commerce, education, government, the professions and the general community. It will advise the College on the scope and nature of its tourism program, research and other activities and provide long lasting impact on the tourism sector. Professor Black’s work is supported by the Luxembourg Agency for Development Cooperation (LUXDEV). The LUXDEV projects aims to strengthen existing institutions and their programs rather than establishing new frameworks for developing human resources development. “We are looking beyond short-term fixes,” Professor Black said. “The formal tourism programs are still developing and lack industry relevance, experienced teaching staff and learning resources. 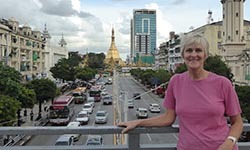 Associate Professor Rosemary Black is currently in Myanmar until the end of September 2018.